When Sonic the Hedgehog programmer and Nights creator Yuji Naka left Sega, we expected big things from his Prope studio. We got Let's Tap instead. So why'd you leave Sega again, Mr. Naka? In a nutshell, Naka wanted to get back to real game development, away from that high level managerial nonsense. He tells Gamasutra that he felt a need to "keep creating." "Before I left Sega, I was high enough up that I was looking at every game the company was developing," Naka said. "Once I was in that position, though, I found that I wanted to get into the nitty-gritty details instead with the games, including Sonic — the whole 'it'd be better if this bit were like this instead of that' type of thing." 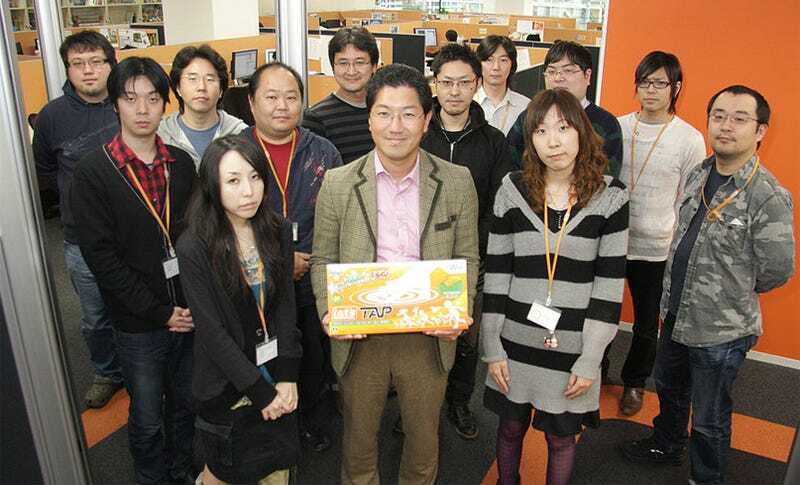 At his new studio Prope, Naka says the concept for Let's Tap was borne of Wii Remote experimentation and inspired by idle tapping. Clearly, Naka's a high concept kind of guy. As for the future? "We're actually planning on making a game like Sonic right now," the developer says. We hope he means "like Sonic the Hedgehog 3" and less "like Sonic the Hedgehog (2006)."